Reports from the lab: Physics: Which ball is the bounciest? 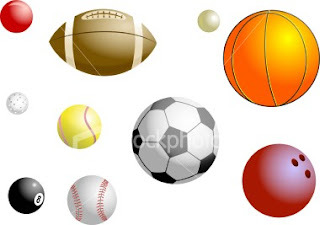 Physics: Which ball is the bounciest? This week we looked at another example of Newtons 3rd law, the law of action and reaction to understand why balls bounce. The kids compared 3 types of balls: a super-ball, a tennis ball, and a basket ball to see which one had the highest bounce height and which one bounced the greatest number of times. Most of the groups found the super-ball to be the bounciest. We wondered what about it makes it so bouncy. Next week we will continue this investigation to look at why certain materials bounce more than others.